Ventnor, on the south coast of the Isle of Wight, is sheltered by high cliffs. A steep road winds down from the terraced town past the famous cascade gardens to the seafront. This fair weather haven provides the only stopping-off point along the south coast of the Isle of Wight, as well as an access facility for local boat owners, anglers, and other interest groups. You will find a harbour-side café and coffee shop, boat builders, boat charter, a fish landing stage with fishery outlet, and fish and chip shop. Navigating the Haven entrance is suitable only in certain weather conditions and tides. 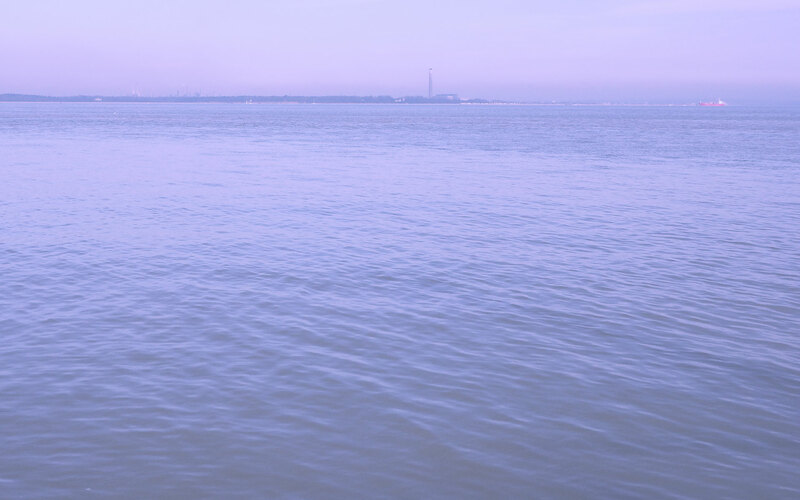 However, on a clear calm day it is one of the best runs round from the Solent. On approach, beware of races which occur south of St Catherine’s Point to the west and Dunnose Point to the east. Consult almanacs in advance for information on each race depending on the state of tide. The Haven mouth is approached from the east and is lit after sunset by two fixed navigation lights (vertical). Entry and exit are recommended 2 hours either side of High Water only with draught of less than 50cm. Stay close to the southerly markers to avoid sandbanks which form on the northern side of the mouth. Do not attempt to approach in easterly to southerly conditions as swell may occur at the entrance. The Haven is not suitable for sailing boats or motorboats which cannot dry out. The entrance dries completely at Spring Low Water and is very shallow during Neap Lows. The depth is variable, dependent on sediment movement and duration since the last dredge. Beware of the two rock arms - the largest extending seaward (south) from the site of the old pier before curving to the southeast. The smaller arm, some 58m to the east, extends seaward towards the first arm with a 24m gap. Shelter is reasonable in the lee of the rock arms during southwest through to northeasterly winds, and extremely vulnerable in east through to south-southeasterlies when swells can enter. The Haven is exposed to strong winds from all directionsexcept northwest to northeast. OceanBlue Quay above the Haven. No anchoring is permitted except in an emergency and no anchoring or mooring in the Haven entrance. Visiting boats should be aware of bathers and snorkelers swimming alongside the Haven rock arms. Fuel is not available at Ventnor, but can be obtained at the nearby villages of Whitwell (3 miles) and Sandford (5 miles). Do not pump out oily bilges into the Haven or surrounding area. Yachtsmen and all navigators are requested not to release washing water or to pump WC or bilge effluent into the Haven. This is particularly important in a drying harbour. 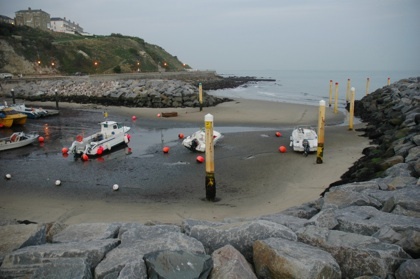 The slipway is available free of charge for launch and recovery. Please exercise great care when manoeuvring your vehicle at the top of the slipway and on the slipway itself as it coincides with a pedestrian right of way.